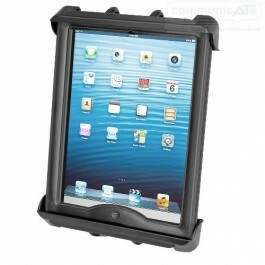 The RAM Universal Tab-Tite Cradle consists of a spring loaded back plate and custom support cups for 10" screen tablets USING heavy duty cases. The spring loaded design makes it easy to load and unload your tablet, along with keeping it secure while on the go. 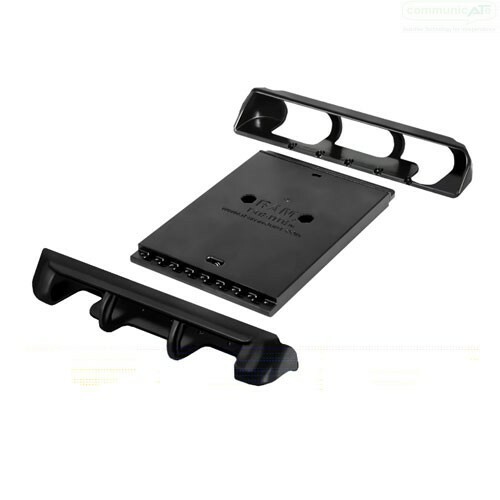 Interchangeable ends-parts are designed to optimize the functionality of your tablet, allowing access to audio jacks, usb, power, and other ports. Your tablet can be used just as it was intended. 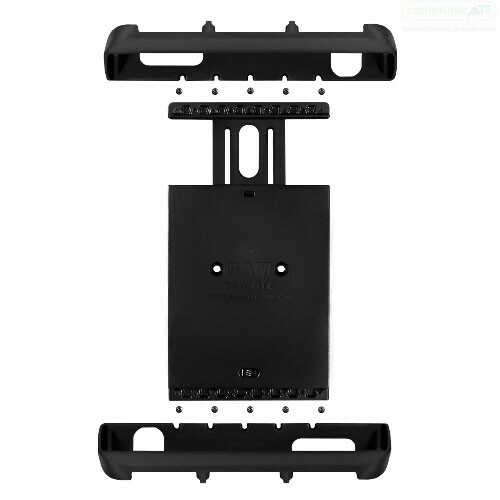 Perfect for stationary or on the go applications, the RAM Universal Tab-Tite Cradle can be adapted to any AbleNet Switch Mount using the AbleNet Universal Mount Plate or fits perfectly to other RAM mounting products like Double-socket Arms.